Yes its true the wedding is all about the bride… but don’t forget about the Groom its his big day as well. Brides always come to me with there big ideas of the bouquets and how the colours are to match the bridesmaids dresses. The table arrangements to coordinate with the colour scheme and everything looking lovely oh yeah and the groom is wearing this and the groomsmen have a tie to match the colour of the dresses. And that’s great what about the groom who your marring lets make him feel special too.. Some guys are just not into flowers, that’s fine they can have a simple rose backed with a camellia leaf and they will be happy. 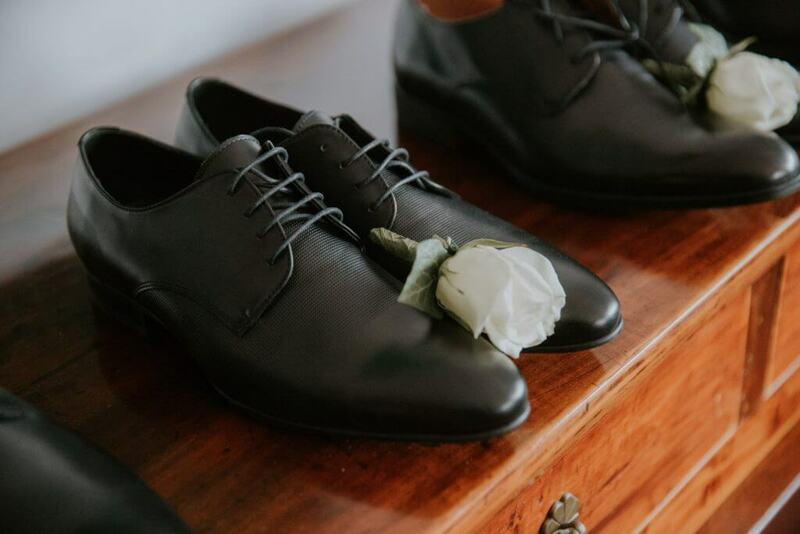 But if your groom wants that special extra touch which will make him stand out from the groomsmen and other family members who are wearing buttonholes then we need to go a bit further. For the groom you can add some berries, buds of spray roses, different foliage’s. Any thing to match in with the bridal bouquet, or if they are into chillies add a chilly to the Singapore orchid like I did on my wedding day to personalize your special day. This entry was posted in Bayside Weddings and Events and tagged @vintageweddings, #baysidebouquets, #beachweddings, #beaumaris, #blackrock, #bride, #bridesmaids, #buttonholes, #easyweddings, #groom, #melbourneweddings, #whitewedding.